Sophisticated and Chic, Outdoor Lounger is beautifully contoured for all-day comfort, weather and fade resistance ... and fun in the Mexican sun. Stain, fade and weather-resistant rattan wrapped over an aluminum base. Sophisticated and Chic, our La Costa Outdoor Lounger is beautifully contoured for all-day comfort, weather and fade resistance ... and especially for fun and sipping mojitos in the Mexican sun. 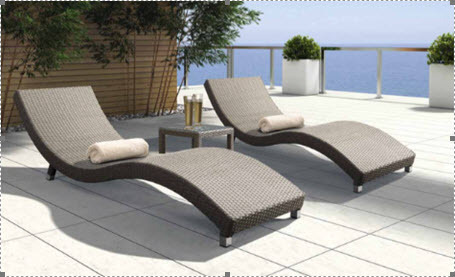 The moment you lay back on this lounger, you begin to feel all your stresses melt away. Being in Mexico surely helps, but amazing furniture also plays a part. We love the elegant design, the materials, and the gorgeous panache these loungers will add to your Mexican pool area, outdoor patio or terrace. Price is per each lounger.